Steve Jobs was a 21-year-old college dropout living with his parents in Los Altos, Calif, where he and two friends, Steve Wozniak and Ronald Wayne, would hang out in the garage. For other trios, this would be the beginning of a rock band; but Jobs, "Woz" and Wayne had other things on their minds. 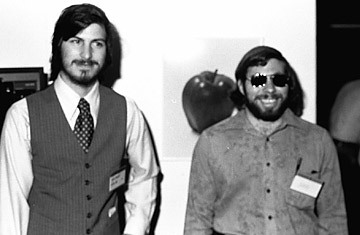 Jobs and Wayne had both worked together at the gaming company, Atari, while Wozniak, 26, had worked for Hewlett-Packard. The three men incorporated Apple Computer on April 1, 1976. While the two Steves went on to greatness as Apple's revolutionaryapproach to personal computing bore fruit, Wayne sold his share of the newly created Apple for just $800 just three months after its inception.